Latest Singapore Property News in one place. Original article from the Straits Times published on 8th Jan 2018. A refreshingly integrated lifestyle awaits residents of Wallich Residence, an exclusive collection of 181 homes that make up the tallest luxury apartments in Singapore. And this is not happenstance, but is a result of vigorous planning to drive synergies across the different components within the mixed-use project Tanjong Pagar Centre. Its developer GuocoLand points out that the users’ perspective is of utmost importance. Users can enjoy private and exclusive spaces, while having various amenities offered by the integrated project within reach. One example is how the developer ensures that the hotel, office tower and the residence are integrated in design, but have their own arrival areas and identities. The project’s master planner and design architect Skidmore, Owings & Merrill (SOM) has been pivotal in steering the outcome. It is one of the most influential architectural and engineering practice in supertall buildings in the world. “The design for Tanjong Pagar Centre balances diverse functional requirements with a strong, unified building profile that will add an iconic presence to Singapore’s skyline,” says Mustafa K. Abadan, design partner at SOM. According to List Sotheby International Realty, five out of the top 10 luxury apartments globally are above 200m and Wallich Residence is the only property in Singapore to be among the top 10. 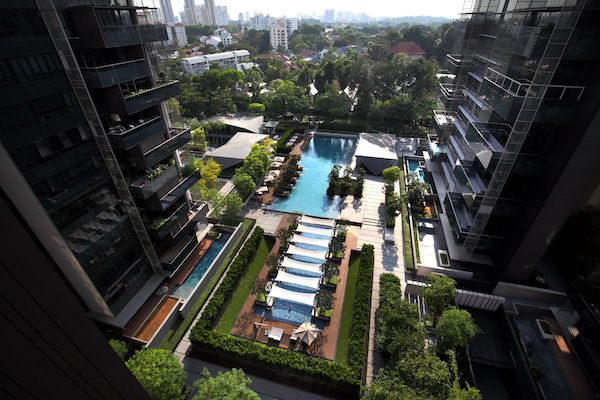 The limited residential collection comprises one- to four-bedroom units, four penthouses and one super penthouse. Each home is finished with top-of-the-line materials and fittings. Wallich residents get to enjoy bespoke concierge services, managed by GuocoLand’s concierge team in partnership with Sofitel Singapore City Centre. Their guests can be treated to an intimate dining experience at The Wallich Room with a private chef.They can also choose from an eclectic mix of F&B options – from casual dining, chic dining concepts to fine dining right within Tanjong Pagar Centre. A sky observatory at 270m-high offers residents and their guests unrivalled views of the city and the sea. The office and retail spaces at Tanjong Pagar Centre are mostly filled. 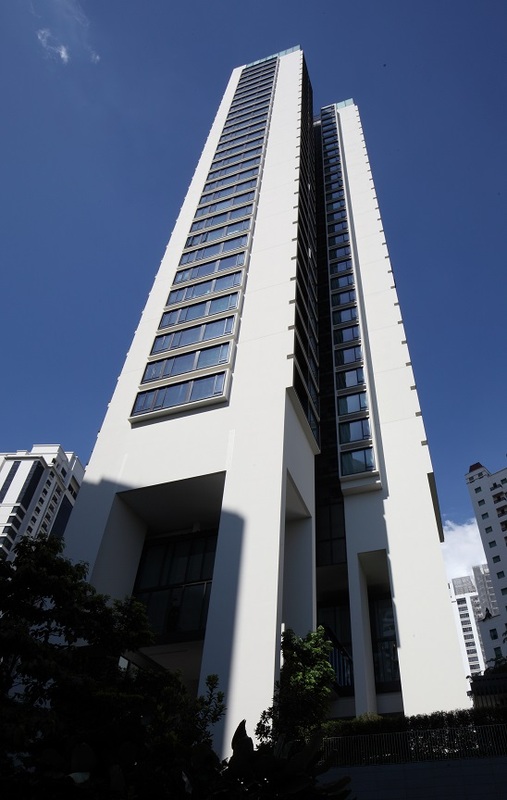 GuocoLand notes that these tenants are mainly drawn to the amenities, convenience of having seamless connection with the Tanjong Pagar MRT station, and the profile of other tenants in the building. “Some of the senior executives of our office tenants tell me that they feel like they live here, rather than work here,” says GuocoLand Singapore group managing director Cheng Hsing Yao. “Work is intense for them, but every now and then, they get to go to the urban park to take a breather and recuperate, or go to the gym for quick work-out. They even come back to the complex with family and friends for coffee or meals,” Mr Cheng says. As a testament to its success, Tanjong Pagar Centre has often been cited as a demonstration project in the mixed-use category to foreign delegates. At the Property Guru Asia Property Awards this year, GuocoLand was awarded Best Developer under the Asia and Singapore categories; Tanjong Pagar Centre clinched Best Mixed Use Development (Singapore) and Best Green Development (Singapore) awards while its office, hotel, retail and luxury condominium components each snagged individual titles of being the best development. GuocoLand was also conferred Honorary Award in Landmark Development Leadership in the Singapore’s Built Enviroment Industry (BEI) Asia Awards 2017. Record prices at Ardmore Three of $4439 pf in Dec 2017.